I was sorting through my wardrobe when I came across an old flower-delivery box I’d forgotten about. 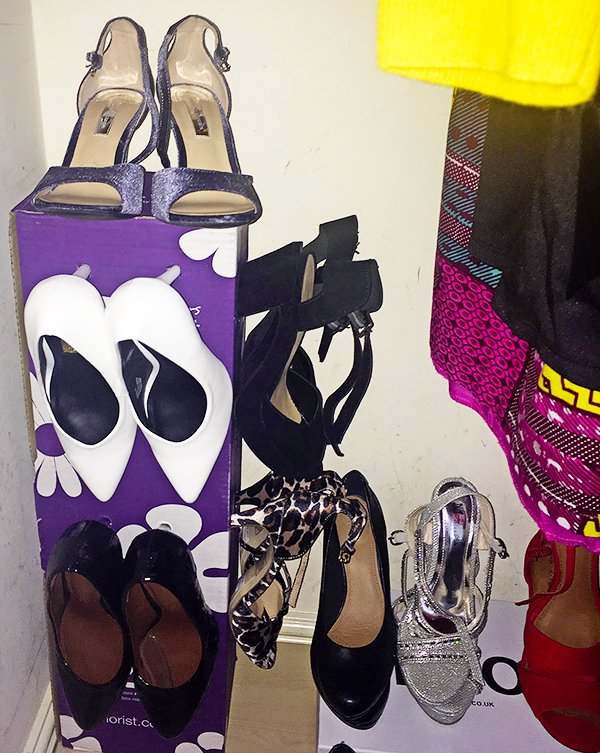 Instead of throwing it away, I thought I’d use it to create a shoe-tidy. I pierced holes down the front and side, and hung my shoes from it by pushing the heels through the holes. It’s given me loads of extra space in the bottom of my wardrobe.